Campers having a BLAST, while learning and playing in a dynamic environment. Learning about Robotics and Science, in an independent and exciting way! 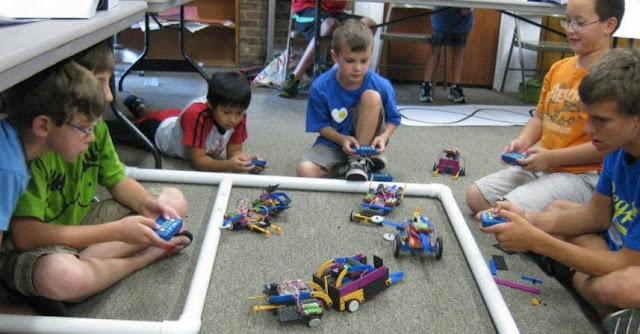 Visit www.ROBOTS-4-U.com to see dates and locations for these day camps. - Hands on Learning, Self-Paced. Beginners to Expert! - Days: Monday to Friday Times: 9:00-11:30a.m. and 12:30-3:00 p.m.
-Register early as camps do fill up quickly! 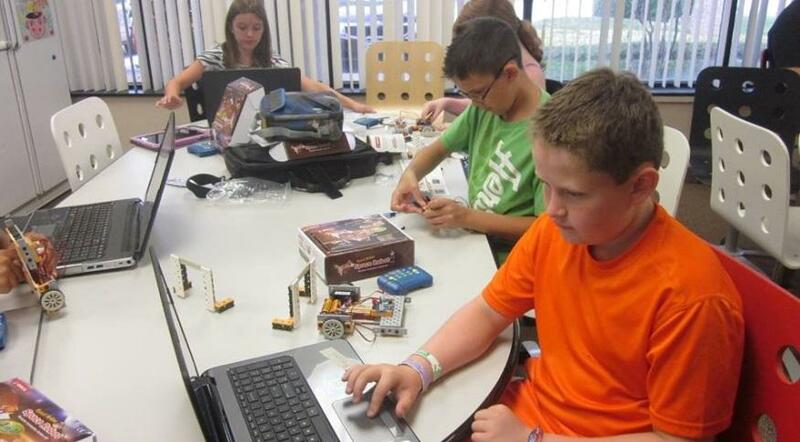 - Each Camper Individually uses a ROBOTICS or DYNAMIC ART Kit. Robot kits do not go home with campers but are available for purchase!